John Kawalchuk joined the SperryGGA-Griffin Partners team in 2019. John specializes in office and retail tenant representation as well as owner and buyer representation of commercial investment properties. John’s backgroudn in finance and accounting allows him to serve his private and institutional investor clients at the highest level in regards to underwriting, valuation, and consultation of all commercial investments. 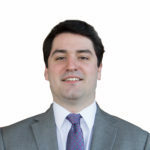 John holds a Bachelor of Science in Financial Management with Emphasis in Financial Services as well as a minor in Accounting from Clemson University. John holds both a SC Real Estate license and a Series 7 license.